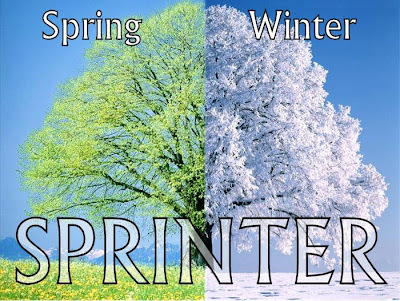 Because of this confusion over the two seasons, Spring and Winter, the meteorologists have created the new season of Sprinter, which covers this extended changeover period which is driving people insane. In Minnesota, a local NBC weather reporter is entirely to blame for the poor weather. Jerrid Sebesta from Kare 11 has taken full responsibility for 'Sprinter' and is even taking the blame for a multitude of other things on his twitter account @jerridsebesta where he describes himself as a "Part-time weather guy, full-time scapegoat". Jerrid needs to move to Tucson, where the weatherman is known as Sunny Jim, and all the little boys and girls want to grow up to be just like him.